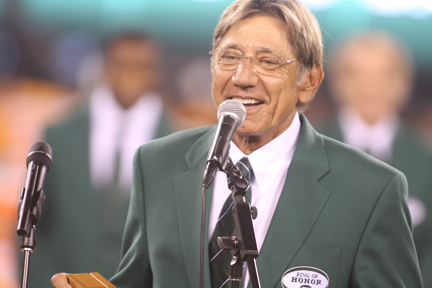 Home / Uncategorized / Daily Debate: Was Joe Namath Correct in His Jets Criticism? Daily Debate: Was Joe Namath Correct in His Jets Criticism? Former New York Jet and National Football League Hall of Famer Joe Namath was very critical of the New York Jets when asked about their performance against the Oakland Raiders Sunday on the air with Michael Kay on The Michael Kay Show on 1050 ESPN Radio yesterday. Below is some of what he said. 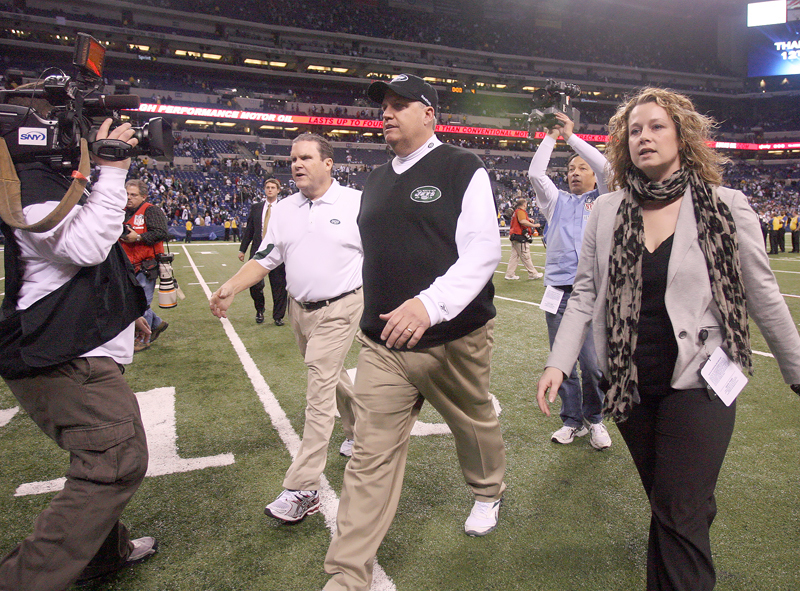 Do you think Rex Ryan’s style of coaching and braggadocious ways is having a positive or negative impact on the team? Do you agree with Joe Namath? Voice your opinion on the Razz and Jazz Sports Blog Daily Debate. I believe that sometimes you do get caught up reading your own press clippings. That is true. I think it also works as a wakeup call for the Jets as well. Sometimes you need those to re-focus. I like Joe Willy. He was the Super Fly player of his day with the fur coat, girls,clubs etc. And he could throw the ball until knee problems. But it costs nothing to be a Monday morning quarterback. The Raiders were on a high Sunday. And they beat the Jets. Jets go back to back AFC Championship with a rookie-green quarterback. Rex is a good coach and he knows what’s he is doing. But if they don’t make the playoffs. Then kick dirt in his face! All I could think when I learned about this is “Oh, look who’s talking.” I don’t know why Joe Namath has to say that. Let the Jets play and don’t try to distract them!